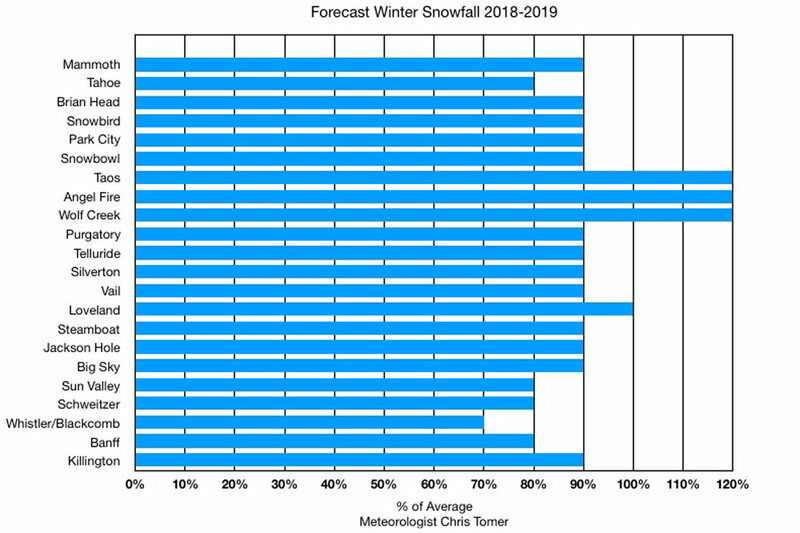 Percentage of average snowfall for ski resorts, winter 2018/2019. 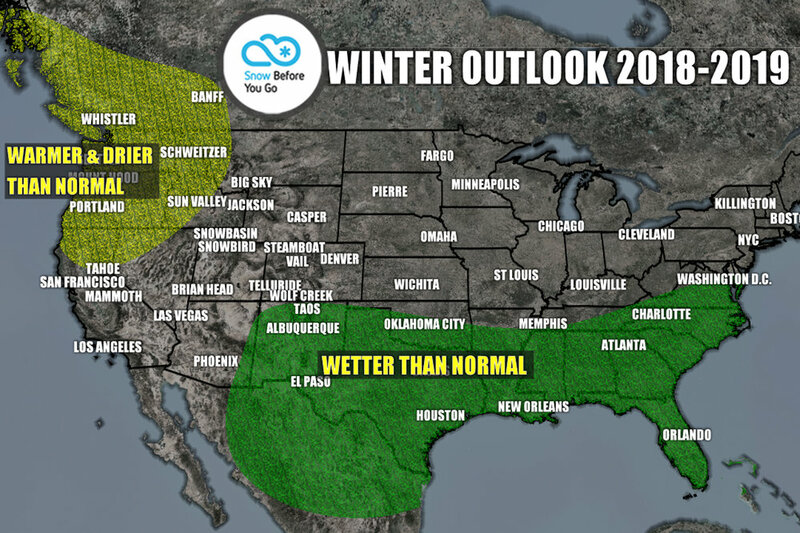 Long-range ski forecast for North American ski resorts, 2018/2019. 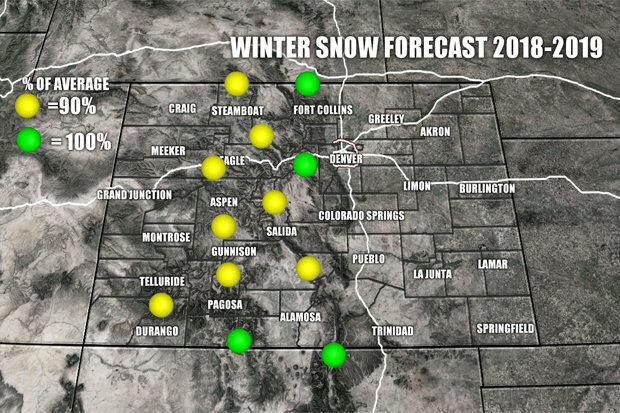 Winter snow forecast for Colorado, 2018/2019 ski season. 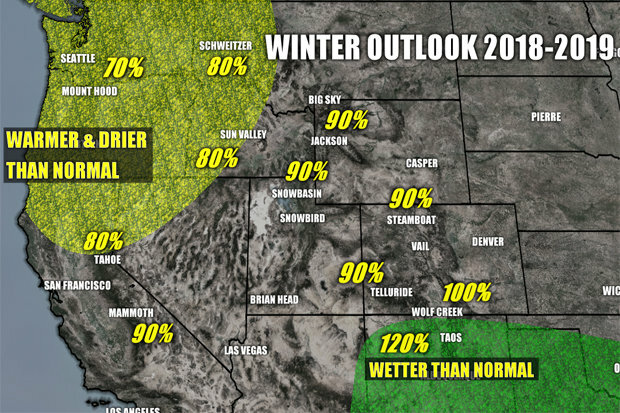 Winter weather outlook for the 18/19 ski season in the Western U.S.